You all know how much I love a new, beautiful bag to start of the new season. Truth is I always find myself eyeing on bags way more than I do on clothes and other accessories. 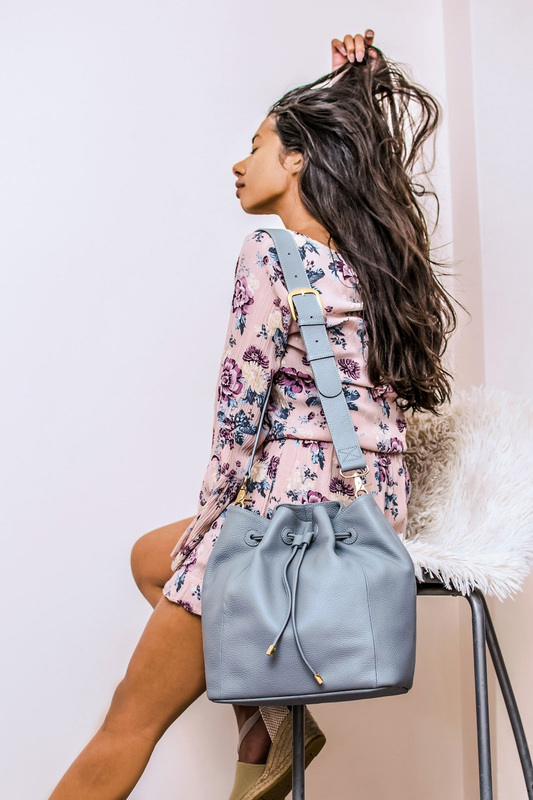 Now that the cold, rainy days are finally over all I wanted from the moment I started adding things to my "Spring wish list" was a neutral tone bag to start this promising season with a boost. A week ago I found the new baby of my bag collection as soon as I got up close and personal with Sienna Jones's Classic Collection. SJ is a British brand focused on designing and creating beautiful Luxurious fine leather bags and accessories in Covent Garden, London. If you know me you know how much I actually value staple pieces that can elevate even the simplest of outfits daily. As I have talked about on many previous posts here, investing in a few basic fashion items in order to create a "capsule wardrobe" from where you can easily reach easy to style, day to night pieces of clothing on those busy days we all have every week is so crucial. A simple chic leather bag, a black trusted blazer, a pair of white sneakers(..) are things that you are not only reaching out for pretty much daily but can also have the ability to be as versatile as possible for you to create a look from day to night. Investing on a basic piece for your wardrobe can sometimes seem like a pointless think to do "It's just jeans, I will pick up another pair" but I assure you , it's not. If you stop for a moment and think of all the money we have all spend in purchasing and re purchasing basic pieces just cause we used the to death rather than investing a few extra dollars in one , high quality piece that will last for quite a few season to come is inane!I would be more than happy to know in the comments bellow the results if you consider taking my advice.